We hope that everyone enjoyed the 2013/14 W.M.H.A. Tyke season! Everyone played brilliantly at their final games yesterday. We would like to thank all of our coaches and volunteers, for their time and dedication, and the Windsor Spitfires for sponsoring the tyke program. You helped make this a fun season for all! We hope to see you at the June registration and at the arena in the fall. Have a safe and fun summer! 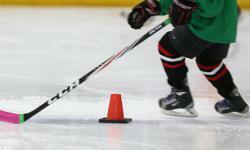 On March 15th, 2014, the 4th Annual Tyke Tournament will be held at the WFCU Arena. This is a wonderful time for our tyke players! They will play a 30 minute game, with special guests, select Windsor Spitfires! Lunch will be provided after the game by Wendy's. It is only $20 per player.